Boxing gloves and pads will be provided. Something to drink and possibly a snack for yourself. eg. A sports drink like Powerade or Gatorade and / or an energy bar. #1. I will be gauging what you already know and don't know, and trying to determine what you need to learn and relearn and in some cases even unlearn. #2. If you like to warm up in some way with stretches or jumping rope, you may do so. I personally prefer if you don't warm up too much because it can reduce your stamina over the 2-hour period (and you will be exhausted after 2 hours anyway). #3. The first thing we will be doing is some basic footwork combined with jabs and punches. 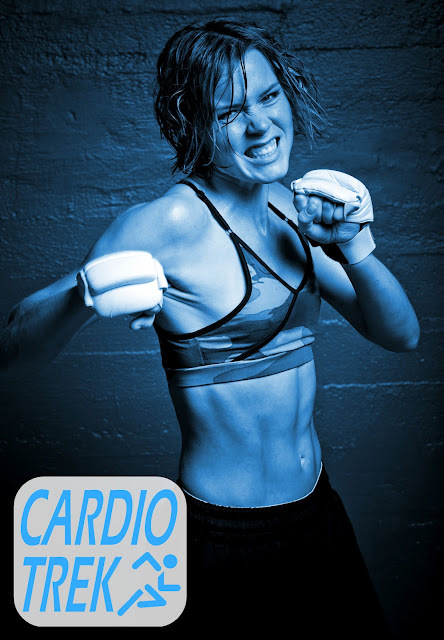 During this I will be examining the boxing position of your arms (some people have a tendency to stick their elbows way out) and getting you to build up some muscle memory. #4. The second thing we do will be going over is the fundamentals of different types of footwork. #5. The third topic will be blocking. You will be schooled in different blocking methods. 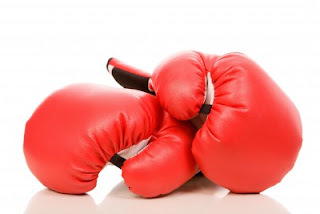 A good book on this topic is "Zen Boxing & the Role of Karma in Fisticuffs" which covers all the basics of boxing for beginners and gets into the concept of boxing as a mental discipline. #6. The fourth topic will be different kinds of punches. The first punching lesson will be focused on jabs and how to do a proper jab. #7. Near the end of the two hour lesson we will be doing more aggressive pad sparring work wherein I will be telling you when to duck, when to block, with the goal being to build up some muscle memory. In the Second Lesson we will refresh the fundamentals of what you learned in the first lesson, but we will be doing more aggressive pad sparring and I will be introducing you to different boxing styles, different punches, and so forth. Third Lessons and beyond get into more detailed lessons and lots of aggressive pad sparring work.